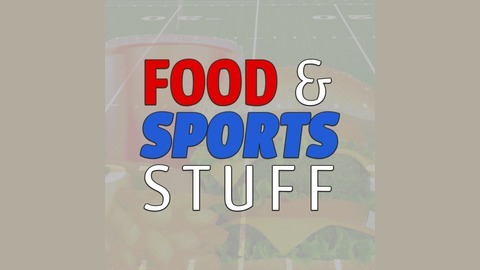 Food and Sports Stuff is a podcast equidistant from your stomach and brain. It’s a great place to get all of your food discussions and most of your sports discussions. 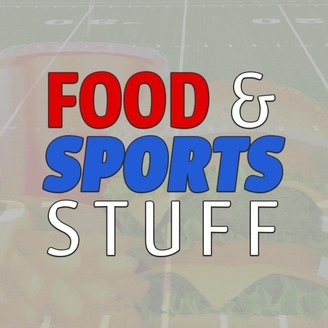 Chris and Joe cook up some delicious food content for your brain and give you some sports takes that are often out of left field. They also try not to lean too heavily on puns as that can get old quick. Really the podcast is Chris and Joe riffing on whatever topics fall into their sphere which means they can go from food to sports to pop culture to anywhere in between. It's been a while so we bring you an extra long pod. Joined by 2 special guests, this week starts with the stuff. We rank our most anticipated 2019 movie releases. The food isn't really food but what goes on our food as we continue ranking things and pick our top 5 condiments. Ketchup makes an appearance! Finally we preview the NBA season and try once again to predict all 16 playoff teams but mostly we make jokes about Lebron's teammates both old and new.